Went for a walk in the countryside …. It’s been a little while since I posted a blog …. I think that sometimes, I just get stuck in the day to day routine of trying to work … clean house and see to the kids, and I forget to think about things. This tuesday was different though My lovely friend, Milton, took me out for the day and we went for a ramble through some beautiful Shropshire countryside. Now, Shropshire ( I am sorry to admit), has never really got me too fired up before. I now know that the reason is purely that it’s a county I have never visited before, and so I have never had the chance to appreciate. We were blessed with a beautiful day on Tuesday … the sun was up and the sky was blue, pretty much all day. We started by having a wander around the gorgeous little town of Much Wenlock. The place is just beautiful !!!! Lots of lovely old and quaint buildings, and the ruins of an Abbey could be peered at over a high wall. Shame the Abbey ruins were closed really … they’ll be open in April though. Here’s a picture I found on the net ….. it’d be lovely to go back and walk around the place when it’s open to the public though ..
After a slap up breakfast in a lovely little cafe, we went for a drive up to Wenlock Edge. What a lovely, lovely place to wander around … we went on a walk along the edge, up past an old quarry, and caught some beautiful views through breaks in the trees, down into the valley. Shame we couldn’t get a picture really, but it was just fantastic looking down and watching two red kites below in the valley, hunting … just awesome !! 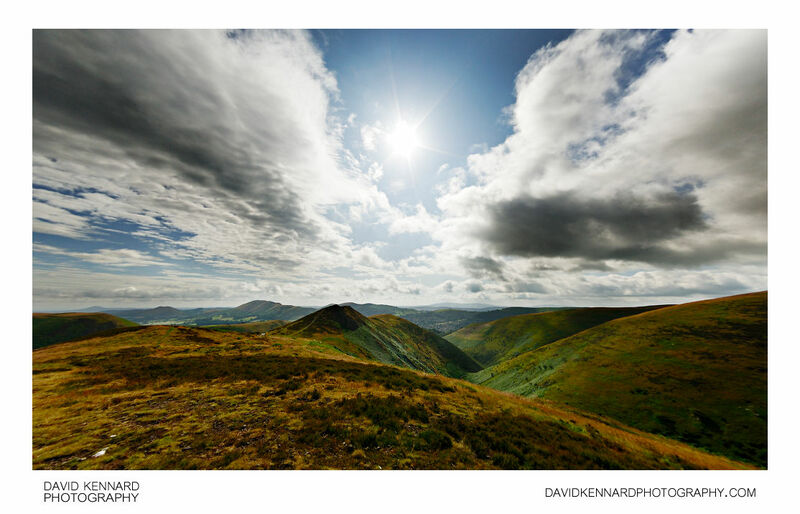 After walking along the Edge, we decided to drive through Church Stretton and up the Long Mynd …. it was absolutely gorgeous up there …. my kind of countryside … much more hilly and open to the elements. All in all I had the best day out !!! A great mate … plenty of fresh air and some much needed exercise ! !